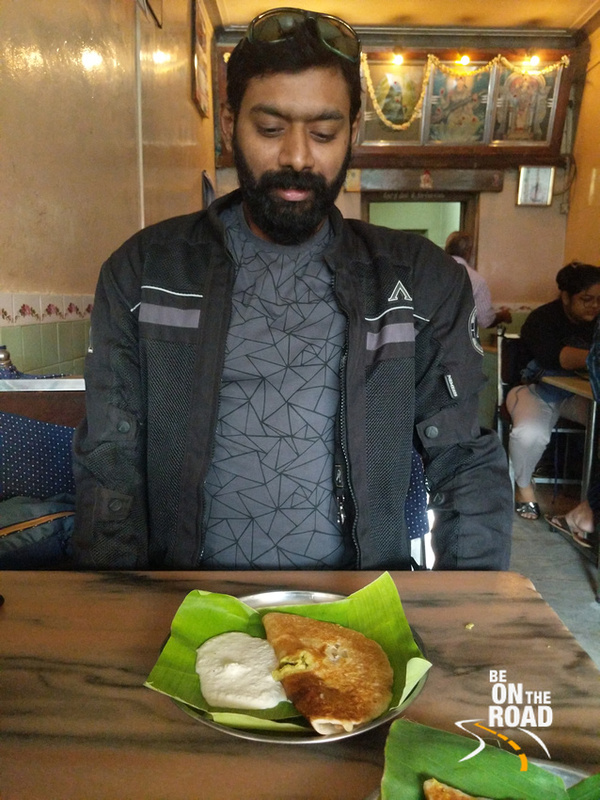 Mylari Dosa: Must-Have Culinary Experience in Mysore - Be On The Road | Live your Travel Dream! Simple crispy dosa with an unique potato masala inside served with a dollop of white butter and fresh coconut chutney. It looks simple, but it tastes amazing and it is easy on your wallet! This is the Mylari Dosa, one of the food icons of Mysore. Some people call it the original Mysore masala dosa. I don’t know if this statement is true, but I can certainly vouch for its lip smacking taste and rich gastronomical experience. The authentic place to have a Mylari dosa is Hotel Original Vinayaka Mylari, where this preparation was created many decades ago. Apparently, there are many hotels and restaurants that go by the same or similar names and hence you have to be careful if you wish to have the true Mylari Dosa. Tucked away amidst small by lanes in the Nazarbad neighbourhood of Mysore is this tiny hotel with a green board. You can find the place easily on Google Maps, Zomato, etc. and once you are there, you will notice signs saying old and original Vinayaka Mylari Dosa. The entrance is simple and the place is even simpler with seating for about 10 people, a cashier section, a wash section and a kitchen. Usually, everyone goes here for the Mylari Dosa, but the hotel also serves plain dosa, idlis and piping hot filter coffee. Service is a bit slow, but all that wait turns into a big smile when you see the hotel staff carry a mammoth number of Mylari dosa plates neatly stacked one on top of the other. Since this is the most popular order, the hotel will keep on serving these to you till you say enough. And after all that crispy buttery dosas and a glass of filter coffee and you can make your way to one of the many attractions of Mysore city. Do remember that a trip to Mysore is not complete without indulging in its iconic Mylari Dosa! Note: Go early if you don’t wish to wait for seating and remember to carry cash.